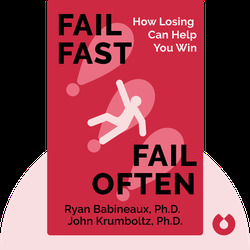 By Ryan Babineaux, Ph.D. and John Krumboltz, Ph.D.
Fail Fast, Fail Often reminds us that our fear of failure can keep us from having new experiences, meeting new people, and creating our own happiness. 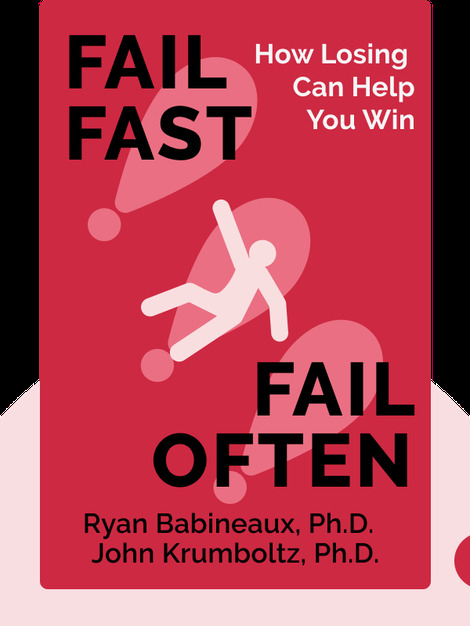 By embracing failure we can lead happier, more successful lives. Ryan Babineaux earned his M.Ed. in psychology and human development from Harvard University and his Ph.D. in educational psychology from Stanford University. John Krumboltz is a professor of education at Stanford University. He has written over 200 books, including Luck Is No Accident: Making the Most of Happenstance in Your Life and Career.